Rent villas and apartments in Pisa, Italy with private pools. Book affordable holiday rentals that are near a beach and golf course. Nice and sunny detached holiday villa with private pool only 2 Km from Pisa and 8 Km from the beaches of Marina di Pisa. This 1 bedroom apartment with swimming pool is located in Marina di Pisa-Tirrenia-Calambrone and sleeps 4 people. It has WiFi and air conditioning. The apartment is within walking distance of a beach. This 2 bedroom apartment with swimming pool is located in Marina di Pisa-Tirrenia-Calambrone and sleeps 6 people. It has WiFi and air conditioning. The apartment is within walking distance of a beach. 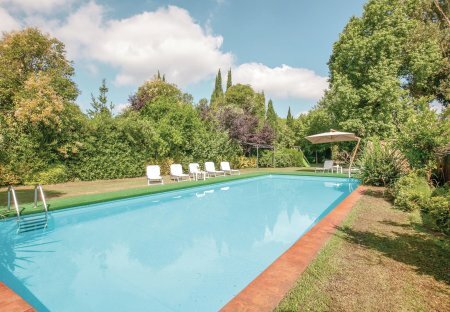 This 1 bedroom apartment with swimming pool is located in Pisa and sleeps 4 people. It has WiFi and air conditioning. The apartment is near a beach. This 1 bedroom apartment with swimming pool is located in Marina di Pisa-Tirrenia-Calambrone and sleeps 4 people. It has air conditioning, parking nearby and a gym. This 1 bedroom villa is located in Pisa and sleeps 4 people. 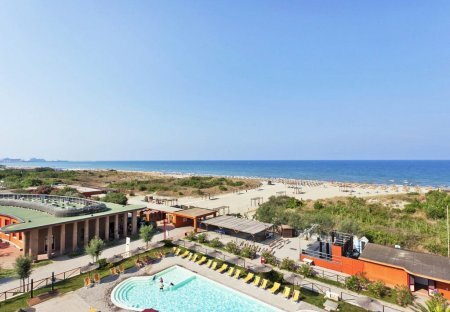 This 1 bedroom apartment is located in Marina di Pisa-Tirrenia-Calambrone and sleeps 4 people. This 2 bedroom apartment is located in Pisa and sleeps 6 people. It has WiFi and air conditioning. This 1 bedroom apartment is located in Pisa and sleeps 3 people. It has WiFi, a garden and parking nearby. This studio apartment is located in Pisa and sleeps 4 people. It has WiFi and air conditioning. This 1 bedroom apartment is located in Pisa and sleeps 4 people. It has WiFi and air conditioning. This 1 bedroom apartment is located in Pisa and sleeps 2 people. It has WiFi, a garden and air conditioning. This 1 bedroom apartment is located in Pisa and sleeps 4 people. It has WiFi, parking nearby and air conditioning. This 1 bedroom apartment is located in Pisa and sleeps 2 people. It has WiFi and air conditioning. This 1 bedroom apartment is located in Pisa and sleeps 2 people. It has WiFi. Ideal for a group of friends or a large family who wants to visit the main cities of Tuscany. It has a strategical position, at only 1 km from the main train station but in the centre of the town.